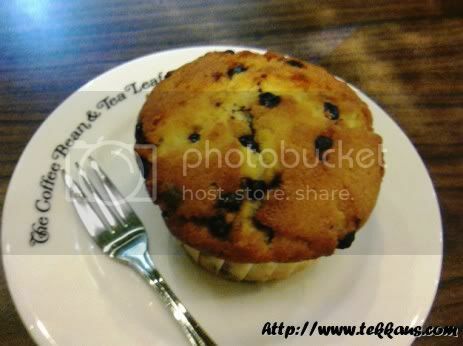 Yesterday my wife, little Jordan and I had our so-called after dinner snack at Coffee Bean. I wanted to treat my wife to something special because she cooked dinner for me yesterday. 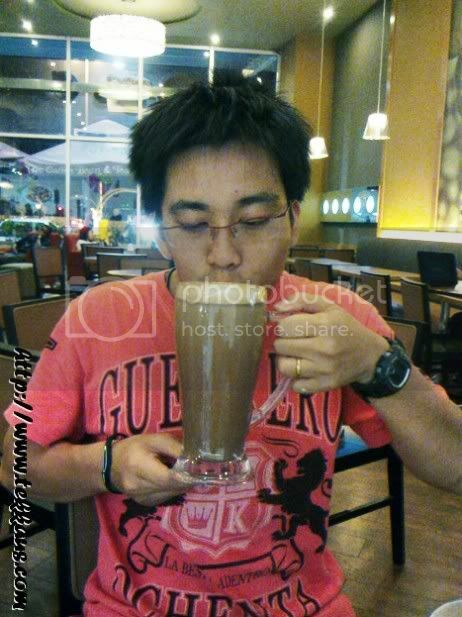 So after doing our shopping at Jusco, we made our way to Coffee Bean. Actually both of us were still very full after our dinner. But that was not going to stop us from having coffee (me) and dessert. I placed my baby Jordan in the baby chair and off I went to order what the 3 of us would be enjoying. 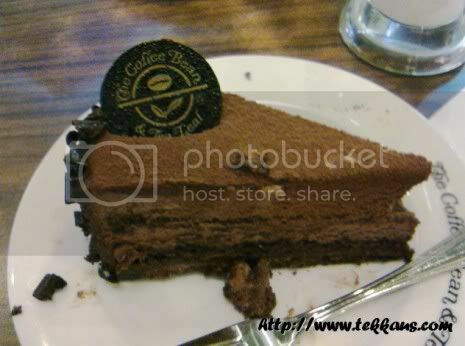 Wanna know what we had at Coffee Bean? 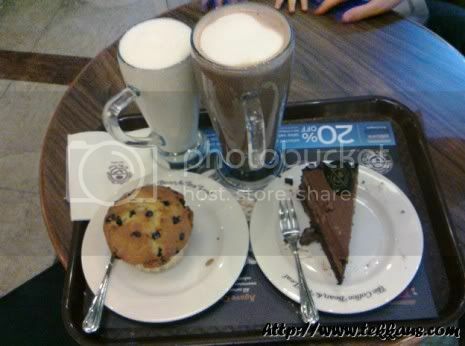 What we had at Coffee Bean. 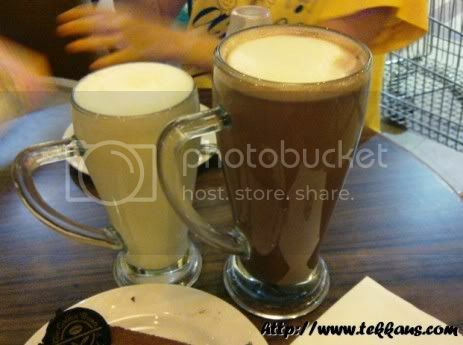 Hot Vanilla and Double Chocolate Latte! 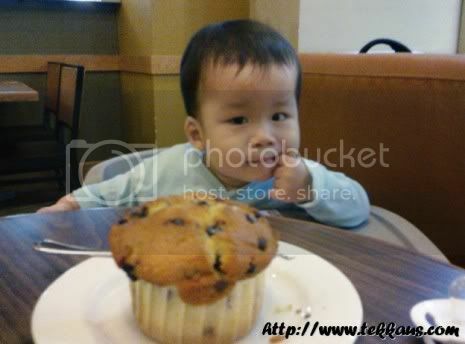 Little Jordan and his Chocolate Muffin. 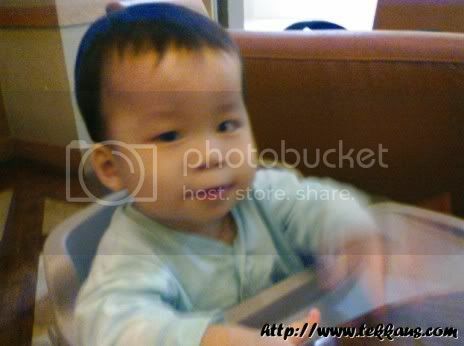 "Mommy~hurry up! 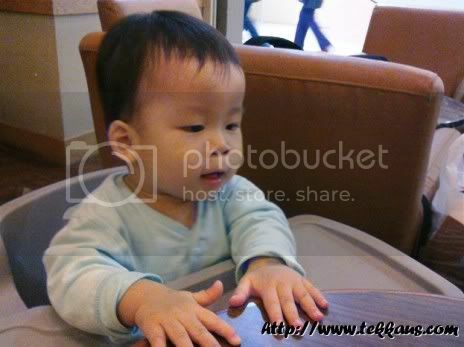 I want mam mam!" 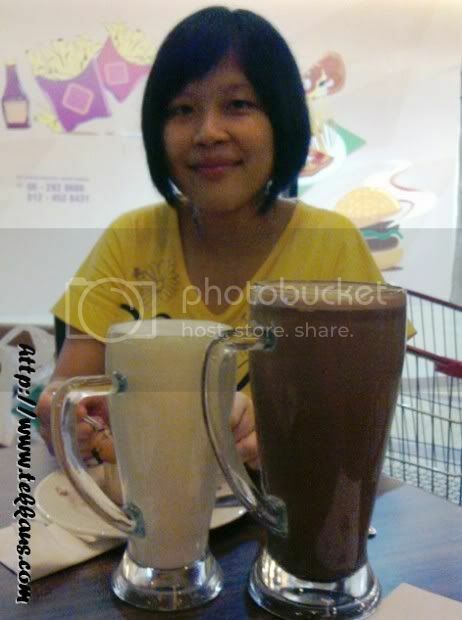 My gorgeous wife with our "gargantuan" drinks.